The Larson Electronics RL-85 is an extremely rugged and powerful spotlight designed to provide maximum output and complete portability. This spotlight produces a light beam capable of reaching over 900 feet in length. An included rechargeable lithium ion battery pack provides over 50 minutes of runtime and high impact nylon and unbreakable polycarbonate construction provides light weight operation and extreme durability. This lightweight, ultra rugged, ergonomic handheld Larson Electronics spotlight operates on an internal lithium ion battery and can be used as a Spotlight or Floodlight for 50 minutes of run time. 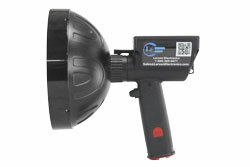 This Larson Electronics spotlight ships with a wall outlet charger and either a 5" or 7" lens diameter. 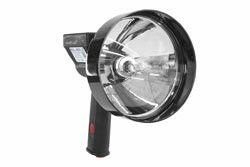 The unique reflector and lens configuration produces a 900 foot beam in spotlight mode, making it approximately 5 million retail candlepower rating. Backed by a 3 year warranty, our new Larson Electronics handheld spotlight is ideal for work, security and hunting and spotting. Users can also lift the locking tab behind the lamp housing and rotate the lamp head to adjust the beam configuration. Rotating the housing adjusts the beam from a wide, soft flood pattern to a tight, spot beam reaching up to 900 feet in length. Continued rotation to the extreme disconnects the lamp head from the handle assembly, allowing operators to quickly and easily replace the bulb when necessary. This handheld spotlight was designed for a specific purpose and the materials were chosen for the same purpose. There are many handheld lights with a similar configuration, however we noticed that quality and durability does not meet the needs of most of our work oriented and industrial users. The handle and lamp housing support are made from high impact nylon. The polycarbonate lamp housing is thick and contoured for extra support. The 16 gauge internal wiring and connectors are simple and well constructed. The industrial grade, tungsten filament bulb is designed for 1200 hours of life while producing over 5 million candlepower in this configuration. 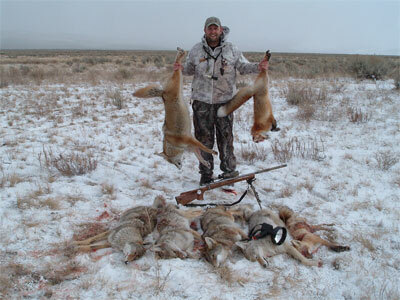 The impact resistant polycarbonate lens is lightweight, shatter resistant and thermal resistant. Backed by a 3 year warranty, our RL-85 rechargeable handheld spotlight is ideally suited for hunting applications and spotting. 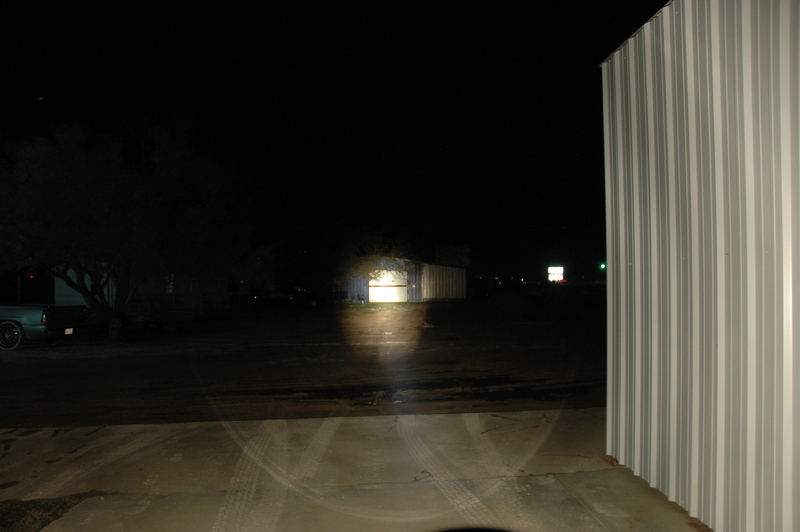 An unlit parking lot with the window of a house 300 feet away. 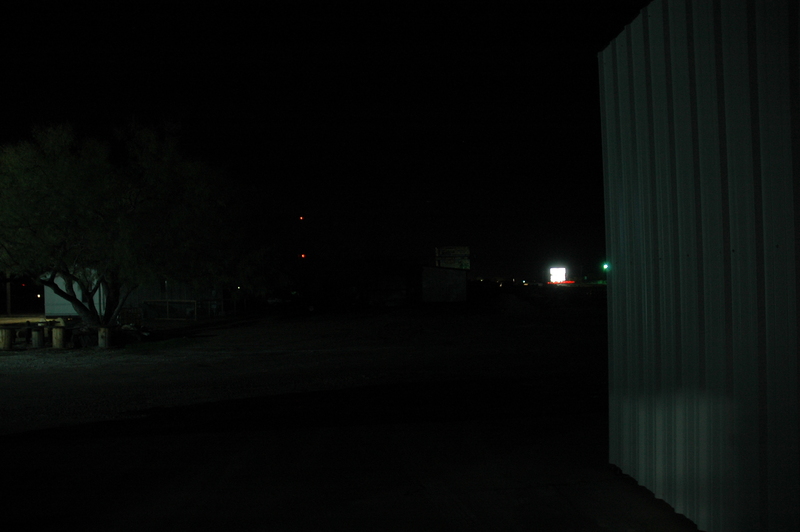 The same parking lot lit by the RL-85 with the building clearly visible. The reflector is uniquely shaped and shallow, capturing and focusing the light efficiently and effectively. Combined with a convex lens and inset lens positioning, this light optimally and efficiently captures and projects the right amount of light where the operator wants it. 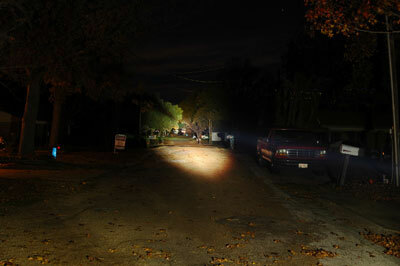 The position of the bulb and the shape of reflector are different than most handheld lighting products. The difference is in how much of the emitted light is captured and focused. In many ways, light shares the properties of the water. With many spotlights, a great deal of the light “spills” on the ground around the light source. While a beam continues to project, much of the light “spills” out around the source, robbing the desired, projected beam of its power. Often times, as much as 50 percent of the light is lost. 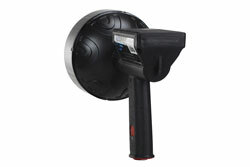 In the Larson Electronics spotlight configuration, more than 90 percent of the emitted light is captured and focused. A side benefit of this is a reduction of “casting,” a phenomenon that occurs when the light “spills” around the light source. 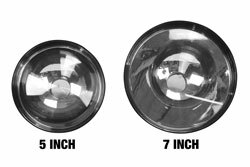 Often times, when surrounded by water, snow or other reflective surfaces, the light spillage will cause “casting” which effectively prevents the human eye from adjusting and seeing the objects at distance the spotlight was used to see. The operator can lift the locking tab behind the lamp housing and rotate the lamp head. Rotating the housing enables the operator to adjust the beam from a wide, soft flood pattern to a tight, spot beam to goes out 900 feet. Continued rotation to the extreme disconnects the lamp head from the handle assembly, enabling the operator to replace the bulb when necessary. A 3/8-16 inch brass nut fixture is imbedded in the base of the handle enabling the operator to mount a magnetic base, like our MM-2 or MM-5, to the light. Alternatively, the operator can tripod mount this spotlight as well. This Larson Electronics spotlight has a lanyard attachment at the top of the handle for users that want to secure the light in the event they lose their grip. 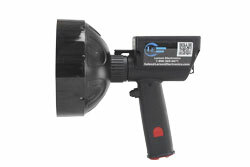 This ultra-durable handheld spotlight weighs only 18 ounces, which makes it easy to carry and operate. The unit is balanced for ergonomic comfort and handling. The ergonomic handle is 4.5 inches long, 1.5 inches deep and 5/8 inch thick, making it easy to hold, even in wet, slipper conditions. The nylon handle has a no-slip textured surface to improve grip as well. The booted push button switch is conveniently placed so the user can easily access the switch with their fore finger for quick on/off or even momentary use. The materials used in the construction of the light are UV, water, impact and chemical resistant. H3 replacement bulbs are readily available at any automotive store in the US. We do offer a spare tungsten based bulb with a H3 base, but any H3 bulb will work fine. The RL-85 spotlight is designed for easy field maintenance. Simple internal connectors are accessed through the snap-in base at the bottom of the handle. The lamp housing is easily removed to access the bulb and wiring. 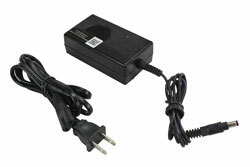 This rechargeable Larson Electronics RL-85 model includes a rechargeable lithium ion battery and standard wall charger. While other models on the market have sealed lead acid, nickel metal hydride or rechargeable alkaline batteries, we selected lithium ion for three reasons. Lithium ion is lighter than any other available battery option, which is suitable for our lightweight, ergonomic design. Second, lithium ion batteries do not have “memory” and you can recharge them fully or partially as time permits. Total recharge time is 2.5 hours and run time is 50 minutes. Finally, lithium ion batteries can hold their charge up to 18 months, unlike Nimh or SLA batteries, which usually hold a charge less than 3 months. 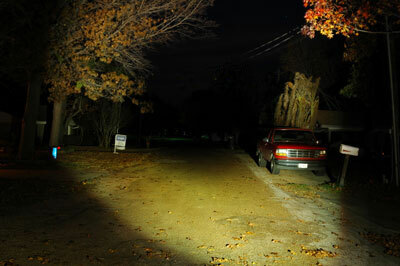 This is particularly important for infrequent users who rely on the light for emergency purposes. On a last note, lithium ion batteries offer a greater number of deep cycle recharges than other battery types, which means longer battery life.